Throughout 2017 we worked with story teller Ian Douglas, artist Jo Mayland and Illustrator Sophia Maria to create a The Fable of Mereside. 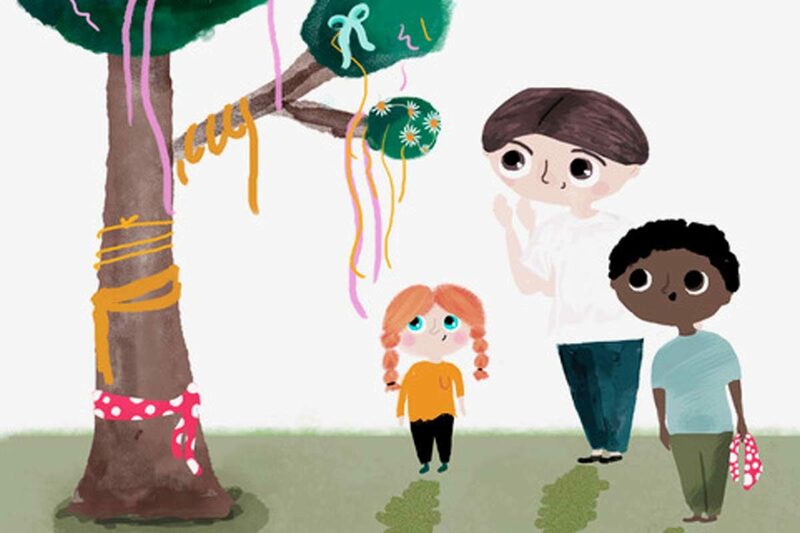 Designed to encourage the children of the Mereside estate to explore the green spaces of the place they live, the fable is a legacy project of the Mereside at Play programme. The book tells the story of Jack who gets sent to the shops by his mum, but ends up going on a magical adventure on his very own estate. The book has creative activities embedded in it to encourage the children to interact with the resources and spaces available to them. The book was presented to every child on the estate at an event in Dec 2017 and passed out to those that didn’t attend through the children’s centre.